Join us for the mass Polaroid shoot at Maker Faire on Sunday!! Shake it one more time! Bring your polaroid, film, props, costumes & your lovely self! Your Polaroid is going to die. And It wants to experience all it can before its final days. Polaroid has stopped making its instant film and expects supplies to run out completely in 2009. 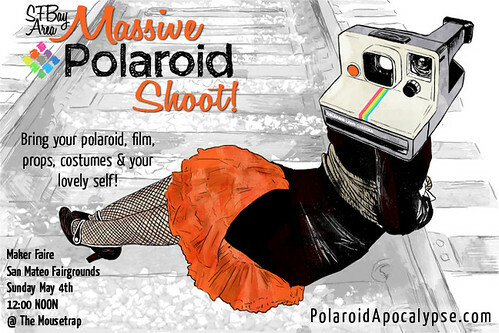 Polaroid Apocalypse is a collaborative project for lovers of the instant film. If the inevitable is upon us, we want to go out with a bang. Load up your little plastic weapon and join the PA Army!